From the 28th to the 31st of July, I had the privilege of attending and speaking at the IOCDF conference in Chicago. My time there has honestly been one of the most rewarding experiences of my life. I was, however, definitely apprehensive about attending. Of course some of that was due to the nerves of presenting, but also I was nervous about immersing myself in an environment full of people whom I hadn’t met before. However, those nerves were soon dispersed by the most loving atmosphere that the conference provided. I’m also very happy to report that the session myself, Jessica and Neil hosted about high school and OCD went extremely well! I want to thank everyone that chose during that conference time slot to come hear and support our presentation. I think we had almost 100 people turn up and the room was nearly full! A special thanks to those who approached us after the session to chat and relay feedback. That honestly made us feel so privileged and happy that we had made a positive difference to those who came and finally I am eternally grateful for Jessica and Neil whom I presented with. It honestly wouldn’t have gone at all as smoothly without you both. So, onto 5 reasons why I think YOU should attend the IOCDF conference next year in San Francisco, CA. As many of us know, OCD can very often be misunderstood and ridiculed by certain members of the population. This in turn makes it harder for those of us struggling with OCD to be as open as we may want to be and we may feel embarrassed if we are noticed whilst carring out compulsions. The conference however, provides one of the most accepting environments I’ve ever found myself in. Almost everyone who attends has either struggled with OCD, knows someone with OCD or is a mental health professional that treats OCD/is looking to widen their knowledge about OCD. It’s not often that you find yourself in a place where you see many people carrying out various types of compulsions and nobody questions it in a derogatory or condescending way. That was something I found invaluable being there. Whilst I attended the conference, I ended up meeting a group of the most awesome people. Normally, it can take quite a while to build a friendship with someone. More so multiple people. However, at the conference it’s almost as if that whole process becomes irrelevant, because they’re just so accepting and non judgmental. When you can relate to each other on a level as deep as the struggle with OCD, the friendship thing doesn’t seem half as daunting. Also, due to the fact that we all have name badges you have no worries about forgetting someone’s name (all hail name badges). 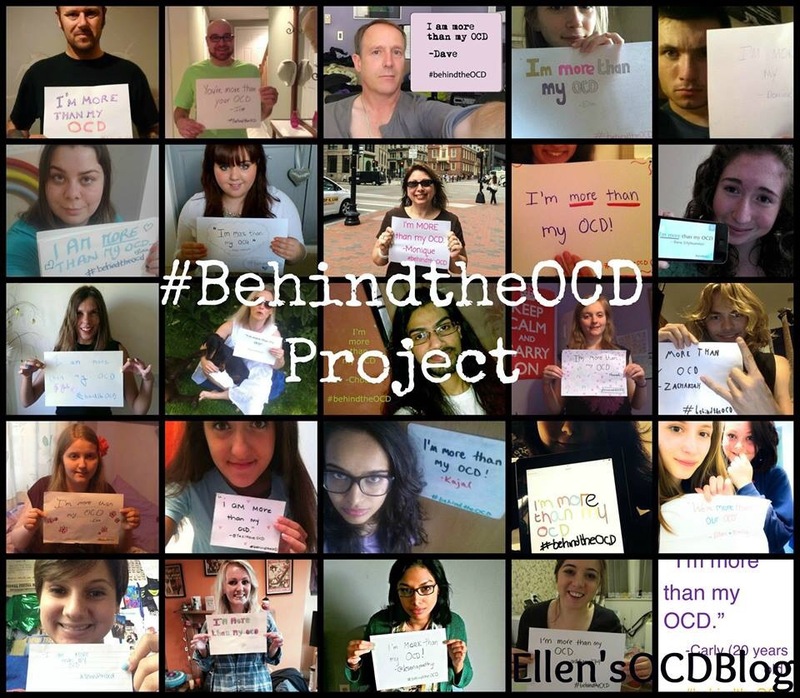 The IOCDF conference is of course about raising awareness of OCD and other related disorders such as BFRBs (trichotillomania and dermatillomania), but it’s also hugely about supporting those of us who have OCD ourselves. During the conference, there are many, many sessions to choose from and they are all categorised in the conference guide or the the app to make them easier to locate and for you to decide which you would like to attend. 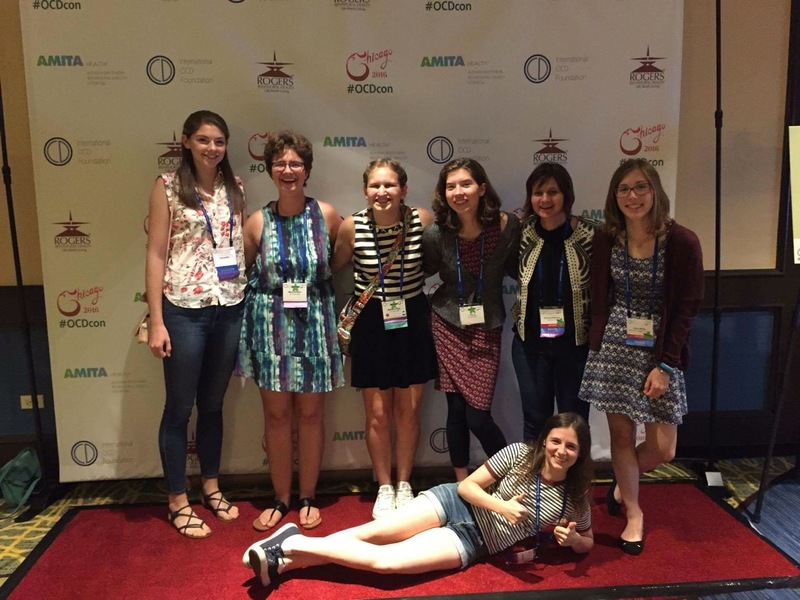 I went to a mixture of educational and support sessions, whereby I truly did learn so much about my own condition and was inspired by the stories of others in the Teen Success Panel and the Young Adult Success Panel. One session in particular that I wanted to point out was the OCD and Eating Disorders Support Group led by Beth Brawly. This was one of the most rewarding sessions that I had attended during my time there, because it was the first time that I had met anyone besides myself who had a co-morbid diagnosis of an eating disorder along with OCD (this is a fact that I doubt many of you know about me, as I very rarely talk about it…) There were two girls in particular who were so lovely and understanding and just the whole session in general was very therapeutic and cathartic for me. To meet people who could understand and relate to both the eating disorder struggles and the OCD struggles was just so incredibly useful and amazing for me. There were also several other support groups going on in different rooms at the same time, so there was many to choose from depending on what suited you best. Exposures are most likely an element of recovery that you dread, but as we know, these exposures are necessary to fight the OCD. It can often be quite helpful to have others around you during exposures, for motivational or emotional support. However, finding someone who truly understands and is able to full comprehend the intensity and trickiness of the exposure at hand can be rather challenging. Which is why the conference, I feel, is a fab place to do exposures. Again, you are surrounded by people who understand and there are actually also therapists who attended too, who are willing to provide a higher level of support too. There is also the addition of the Virtual Camping session, whereby attendees go out into the streets of the city the conference is held in and carry out supervised (rather intense) exposures. Sounds daunting, but honestly I found it a great experience even behind the anxiety I was feeling! I currently have a bag full of resources and distraction items that I find super useful when I’m anxious. Most I hadn’t even known existed until they were handed out at stalls around the conference. You also get given a handout of every presentation in a booklet, so if there’s a slide that particularly resonates with you in a certain presentation, then you’ll have it on hand whenever you need it. You may also leave with a surge of motivation to tackle your OCD. This conference honestly empowers you as a person and it can thus translate into added strength for your fight with OCD. Another thing I’ve found with having all these resources from the conference is that it provides you with credible and well put together handouts for family members and friends who you may want to explain OCD to further. Again it just helps bridge that gap that we can sometimes feel towards those who do not struggle with the condition themselves. Hope you found this helpful and if you have any questions please feel free to ask!